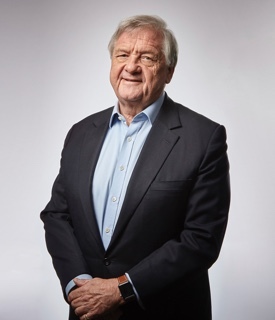 Sir Michael Rake the former Chairman of BT Group plc as well as Chairman of payment processing firm Worldpay Group plc, a director of S&P Global and chairman of Majid Al Futtaim Holdings LLC. Sir Michael was President of the CBI from 2013 to 2015; a member of the Prime Minister’s Business Advisory Group from 2010 to 2015; non-executive director of Barclays plc from 2008, becoming Deputy Chairman from 2012 to 2015; Chairman of the private equity oversight group, the Guidelines Monitoring Committee, from 2008 to 2013; Chairman of EasyJet plc from 2010 to 2013 and the first Chairman of the UK Commission for Employment and Skills from 2007 to 2010. He was a director of the Financial Reporting Council from 2004 to 2007. From May 2002 to September 2007, Sir Michael was International Chairman of KPMG. Prior to his appointment as International Chairman, he was Chairman of KPMG in Europe and Senior Partner of KPMG in the UK. Sir Michael was knighted in 2007. In 2011 he received the British American Business UK Transatlantic Business Award in recognition of outstanding business leadership. 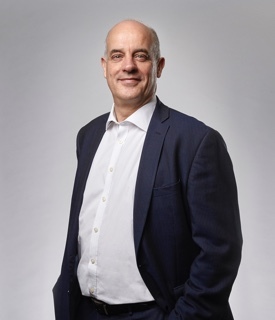 In 2013, he received the Channing Award for Corporate Citizenship, was voted the FTSE 100 non-executive director of the year and received the ICAEW outstanding achievement award. Anuj Sharma has approximately 20 years’ experience in the oil and gas industry and was appointed as non-board level CEO of Andes Energia in March 2017. Prior to this, Anuj headed Mercuria EG’s investments in Argentina. 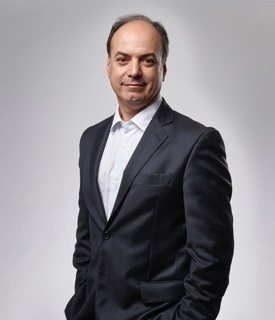 As the head of Mercuria EG’s Argentine subsidiaries, he led PETSA, Mercuria Group’s upstream oil and gas company in Argentina, to significant exploration and development success, which resulted in more than a doubling of PETSAs production and reserves. Prior to that, he was the Vice President and Director, originating investment opportunities for a multi-billion dollar family office in Houston, USA. 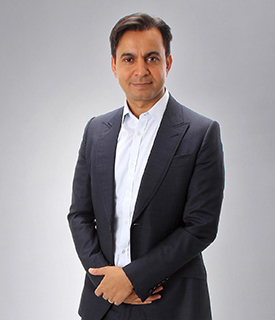 Anuj has held positions in upstream equity research and portfolio management for a large commodity investment firm, making principal investments in the upstream oil and gas sector and managing the firm’s unconventional shale portfolio in the US. He started his oil and gas career as an engineer for Schlumberger Oil Field Services. Anuj received his Bachelor of Electrical Engineering in India and an MBA from Duke University, USA where he graduated with the highest honours as Fuqua Scholar. Kevin is based in Buenos Aires and has over 38 years’ experience in the oil and gas industry and was appointed as the CFO and to the Board on 1 October, 2018. Kevin has had a 35 year career in the oil industry with BP. Between 2016 and 2018, Kevin was CFO of Pan American Energy, BP’s Argentine JV and between 2013 and 2015 he was Country Manager BP Iraq. In addition, he has held senior Finance roles at BP in Iraq, Colombia, Russia, Angola, Kuwait, the UK and the USA. Prior to BP, Kevin worked for El Paso Natural Gas Company. His experience includes exposure to the full life cycle of upstream operations from new business access and exploration success to projects developments and mature operations. Kevin holds a B.S. Accounting with Honours degree from Thomas College, Maine and an MBA from Houston Baptist University, Texas and holds a CPA certification in Texas. John has over 40 years’ experience in the natural resources sector. He is an experienced board member being a past Managing Director of Gencor’s Brazilian mining company, Sea Bento Mineracao and Chief Executive of Engen’s exploration and production division. In 1996, John was instrumental in floating Energy Africa Ltd on the Johannesburg stock exchange and became Chief Executive for the following five years. More recently he was Executive chairman of First Africa Oil plc and served on the boards of Rift Oil plc, Adastra Minerals Ltd, caracal Energy Inc and Scotgold Resources Limited. 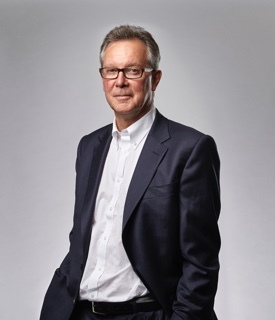 He is currently on the board of a number of E&P companies including as Chairman of Faroe Petroleum plc, Deputy Chairman of Wentworth resources Ltd and Non-Executive director of Africa Energy Corp. John holds a degree in Metallurgy from Brunel University. Garrett has extensive experience as a senior executive and board member of various public companies in the natural resources sector. He has worked with the Lundin Group for over a decade. He is currently President and CEO of Africa Energy Corp., a Canadian oil and gas company with exploration assets in Africa. He is also a Non-Executive Director of Etrion Corporation, Gulf Keystone Petroleum Ltd., Panoro Energy ASA. Previously, he was Chairman and CEO of RusForest AB, CFO of Etrion and PetroFalcon Corporation and a Non-Executive Director of Petropavlovsk plc and PA Resources AB. 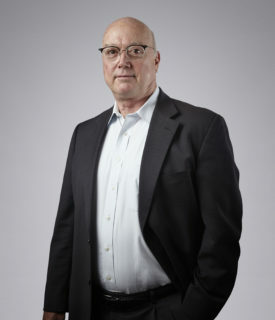 Prior to joining the Lundin Group, Garrett worked at Lehman Brothers in equity research and at Salomon Brothers in mergers and acquisitions. He also previously served as Senior Policy Advisor to the US Secretary of Energy. Garrett holds a BSc honours degree from the London School of Economics and an MBA from Columbia Business School. Javier is an Agricultural Engineer and has a Masters in Environmental Politics and Globalisation from King’s College, university of London. Javier’s career, which is based on his skills on building projects with diverse stakeholders and on his experience in fundraising, was developed in the private sector in London; he was Executive Director of the British Argentine Chamber of Commerce BACC from 2007 to 2011 (he is currently Overseas Director and Member of the Board of the BACC) and he was Business Development Director at a family office in Cambridge dealing with investments in the primary sector. In 2012, he joined the board of Andes Energia as a non-executive Director. David Jackson has more than 30 years’ experience in international banking and finance having held senior positions in investment banking and investment management in Standard Chartered Bank (1990–2008), where he was a Managing Director in London and Hong Kong, Scandinavian Bank (1977–1990) in London, Bahrain, Singapore and Hong Kong where he was an Executive Director and a member of the Bank’s General Management Committee and Finance for Industry, now 3i, where he was a Senior Legal Advisor (1973–1977). David is currently Non-Executive Chairman of Emergex Vaccines Holding Ltd. He holds a degree in Law (LLB) from the University of Leeds and was called to the Bar in 1972. Nicolas Mallo Huergo has been a member of the Company’s board since 2007 and was Chairman of Andes Energia until August 2017. Nicolas graduated from the Universidad Catolica Argentina in 1993 with a law degree and obtained a Master in Law (LLM.) with honours at North-western University School of Law, Chicago, U.S.A, in 1999. Within his area of specialisation, he has advised national and foreign firms on corporate matters, mergers, acquisitions, privatisations and financing, unsolicited bids, tender offers, exchange offers and proxy fights, adoption of stock option plans, leveraged buy-outs, spin-offs, recapitalisations and other restructuring transactions, strategic investments and joint ventures, venture capital transactions and project finance. His advice includes operation structuring, acquisitions of telecommunications and media companies, cross border contracts with international corporations. Nicolas has been, and is, a director of a number of local and foreign companies. 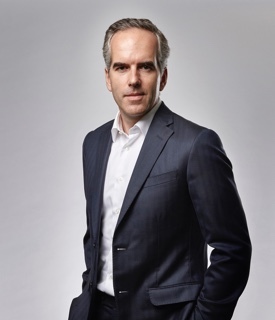 Daniel is co-founder and President of Mercuria Energy Group Limited. 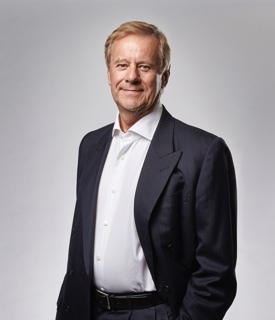 Tim Harrington has over 37 years of oil and gas experience and spent 31 years with BP PLC in various commercial, financial, and operating leadership positions around the globe including postings in Houston, Anchorage, London, and Bogota. 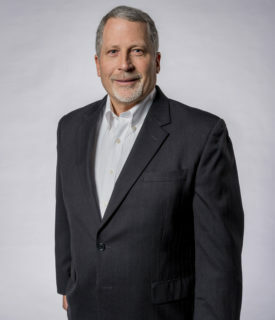 In his final two roles with BP, he served as CFO and then later as President of BP America Production Company, BP’s L48 onshore L48 E&P business focused on unconventional resources. Since leaving BP, he has been working with private equity and various start-ups in the US and currently serves as a Senior Energy Advisor to Trilantic Capital Partners, Mercuria Energy Trading, and Bayswater Exploration & Production. Additionally, Tim sits on the board of directors for DJR Energy LLC, TRP Energy LLC, and EnergyFlo Chemical Applications LLC, three privately funded oil and gas industry related start-ups operating in the onshore US. He is also a member of the National Association of Corporate Directors (NACD) in the US and was a past director and executive committee member for the Texas Oil and Gas Association (TXOGA). Mr. Harrington holds a B.S. in Accounting from Miami University (Ohio), a M.B.A. from Xavier University, and previously earned his CPA in Texas. Nigel has over 10 years of experience in the oil and gas industry which began with the reverse takeover of the Company in 2007. He has a background in finance and accountancy, having qualified as a chartered accountant with Touche Ross, London. 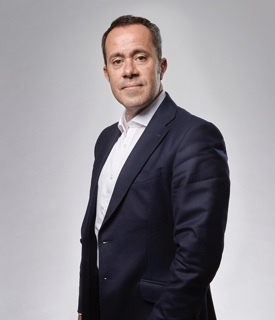 Nigel has extensive experience both as a finance director and senior executive in small and large, quoted and unquoted, companies within Europe, Asia and the Americas.